Star Automation is one of the leading Suppliers, support, service Provider of Panasonic industrial Automation Product. 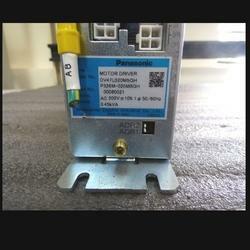 We can provide special Wholesale price and fast delivery for Panasonic Servo Motor and servo driver as follow. Minas A series, MSD series, DVP series, Minas S series, Minas A4 series, Minas E series, Minas A5 series. We are offering various range of servo motor and drive for various applications. Panasonic minas E-series is a unit of an ac servo motor and driver with downsized capability and performance that are useful for positioning of a motor whose capacity is small from 50w to 400w. By adopting 2500 p/r incremental encoder with velocity response frequency of approximately 400 Hz and 5 wires, we could omit wiring. The equipment includes real time auto tuning and enables automatic setting of complicated gain tuning. Packaging Details: 1) Worth and good packing. 2) Based On Customer satisfaction. Star Automations is expert in repair & service of your Panasonic Panadac 326M Motor Driver. We have expertise to repair all types SMT pick & place machine. We have highly skilled & expert technicians to troubleshoot your servo drive & motors faults. We can do in-house or onsite service support.We offer the fastest turnaround times available for Panasonic Panadac Motor Driver and servo motors. For any service requirements feel free to contact us, we will do our best service at all time. 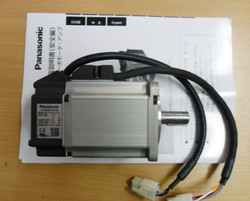 Looking for Panasonic servo ?